In May I traveled to Buenos Aires and spent a week eating and drinking in South America's second largest metropolis. Many guidebooks are quick to peg Argentina as the place to drink Malbec. While this is true, Argentina has much more to offer. Argentine wine has enjoyed increased popularity over the last few years. Malbec is now the most widely planted red grape variety in the country and the province of Mendoza currently produces 60% of Argentina's Malbec. One of the most popular domestic white wine varieties in Argentina is Torrontés. 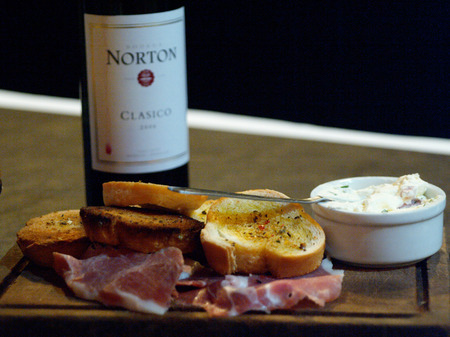 The best examples of this aromatic wine are said to be from the province of Salta. 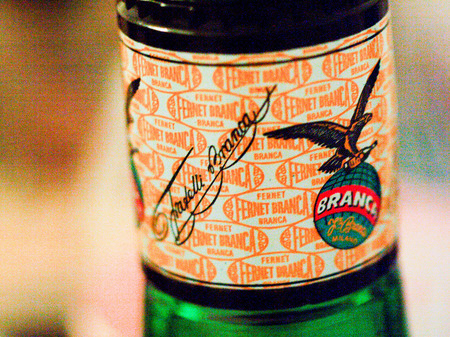 Fernet-Branca is an Italian brand of aromatic digestif that is commonly served after meals. Most often, I encountered this amaro spirit mixed with Coke. My friends instructed me to enjoy two parts Coke to one part Fernet over ice, but recipes I have since encountered call for a more Coke-heavy ratio. Gancia, a second popular Italian apertif, provides a light and refreshing contrast to the sticky, bittersweet Fernet. The wine-based beverage is flavored with spices and its low alcohol content makes it a refreshing drink over ice. 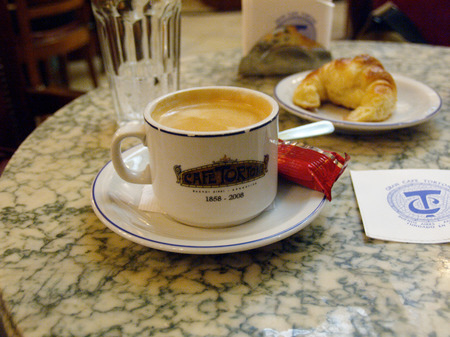 The city of Buenos Aires is full of cafes, many with sidewalk seating, where one can enjoy an espresso and a factura pastry while watching the busy city streets. The photograph above was taken at the elegant and touristy Café Tortoni which opened in 1858 and claims to be the oldest cafe in Argentina. Famous patrons include Jorge Luís Borges, Carlos Gardel, Alfonsina Storni and Rubén Darío. Drinking yerba mate in Argentina is a common social practice. Considered an acquired taste by many visitors, the dried leaves are prepared with hot water and served in a mate gourd with a bombilla drinking straw. Authentic mate gourds and bombillas can be purchased from many street vendors and yerba can be purchased at most grocery stores in Buenos Aires. Cerveza Quilmes was founded in 1888 in the province of Quilmes by a German immigrant. Quilmes quickly became the most popular beer in Argentina and today the brand controls nearly 75% of the beer market. The most popular style is the Quilmes Lager which is refreshing, but somewhat unremarkable beer. 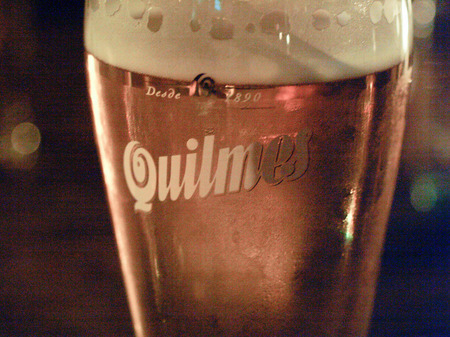 Quilmes is now owned by InBev, which is the largest beverage company in the world. I was pleasantly surprised to find two microbreweries in Buenos Aires. 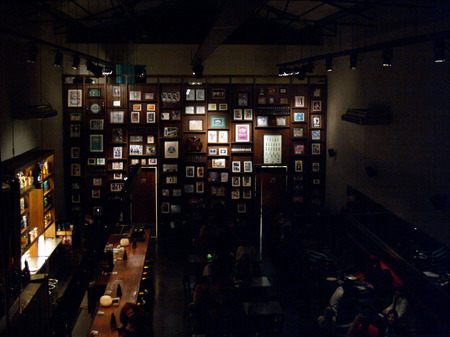 Cossab is a small brewpub that offers a nice selection of international, Argentinian and house beers. I sampled all six Cossab beers: Rubia, Rojiza, Negra, Oatmeal Stout, Con Miel, and their IPA. The Cossab Rubia (red ale) and the Cossab Negra (stout) were both quite good. Cossab doesn't bottle, and to my knowledge their beers are only available at the Cossab pub. Antares is a larger microbrewery with seven locations throughout Argentina. The photo above is from their Palermo location. I really enjoyed their bigger beers, like the Barleywine and Imperial Stout and we thought their Porter was also excellent. Antares does bottle their beers, but to our knowledge they are not available in states. 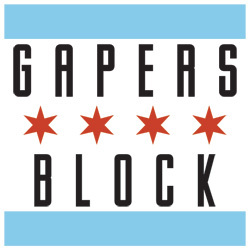 Here in Chicago, Binny's carries a variety of Malbecs, Torrontés and other regional wines as well as Fernet. 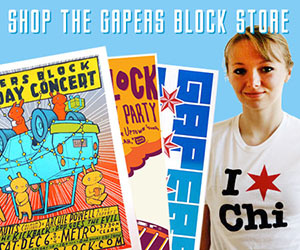 I haven't come across Gancia in Chicago, but I would wager it is possible to find. Yerba mate can be purchased at various locations, including the Coffee & Tea Exchange. While Cossab and Antares beers are unavailable in Chicago, Binny's and Quencher's both carry bottles of Quilmes. Wisdom Natural Brands, the parent company of Wisdom of the Ancients brand has yerba mate with SweetLeaf stevia in it! (vanilla, lemon, or chai flavors) They shouls also have it without stevia, if that doesn't float your boat! I really trust the brand! You know what's awesome? Yerba mate steeped in strong coffee. We tried that a few times in college, tastes amazing, but you feel like you're going to die afterwards. So, maybe it isn't awesome, but we did it more than once.